Estee Lauder Companies Inc (NYSE:EL) stock was soaring today on the release of its earnings report for its fiscal fourth quarter of 2017. During its fiscal fourth quarter of 2017, Estee Lauder Companies Inc reported earnings per share of 51 cents. This is an increase over its earnings per share of 42 cents from the same time last year. It also came in above Wall Street’s earnings per share estimate of 43 cents for the quarter, which was a boon to EL stock. Revenue reported by Estee Lauder Companies Inc in its fiscal fourth quarter of 2017 was $2.89 billion. This is up from its revenue of $2.65 billion that was reported in its fiscal fourth quarter of the year prior. It also beat out analysts’ revenue estimate of $2.85 billion for the quarter. Net income reported by Estee Lauder Companies Inc in its fiscal fourth quarter of 2017 was $230 million. Net income from the same period of the year prior was $95 million. Operating income for the quarter was also $230 million. Operating income from the same quarter in the previous year was $130 million. For the fiscal full year of 2017, Estee Lauder Companies Inc reported earnings per share of $3.47 on revenue of $11.83 billion. Wall Street was looking for earnings per share of $3.40 on revenue of $11.78 billion for the fiscal full year of 2017. 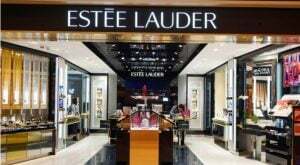 Estee Lauder Companies Inc also provided its outlook for its fiscal full year of 2018 in its most recent earnings report. The company is looking for earnings per share to range from $3.87 to $3.94 for the year. Analysts are expecting earnings per share for the period to be $3.79. EL stock was up 7% as of noon Friday and is up 38% year-to-date. As of this writing, William White did not hold a position in any of the aforementioned securities. Article printed from InvestorPlace Media, https://investorplace.com/2017/08/estee-lauder-companies-inc-el-stock/.